Too hot in the summer or too cold in winter? 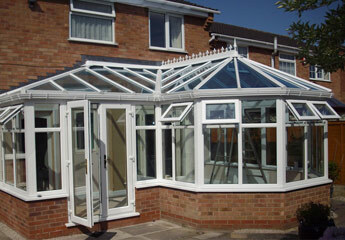 The HHI Warm Roof System is the biggest revelation to hit the home improvement market in the last ten years. 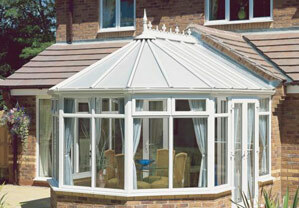 You can now change your old conservatory roof for a new HHI Roof and effectively turn your old conservatory into a new extension that can be used all year round. The complete changeover takes only three days with very minimal disruption to your household. At the same time providing substantial energy cost savings. Fully tested and approved to all thermal and structural standards, the HHI system is a high performance insulated roof system comprising of a pre-engineered lightweight frame, two layers or rigid insulation boards, internal insulated plasterboard, exterior grade plywood, vapour membrane and a choice of external tile finished. 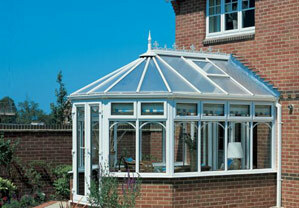 A uniquely designed conservatory from HHI can truly revitalize your home, creating a beautiful, elegant space for working, relaxing or entertaining guests. Comfortable, spacious and secure. 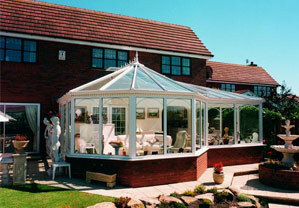 HHI conservatories are a stunning extension to your living area, creating an area where you can enjoy soothing natural light all year round, without sacrificing the comfort of being indoors. Expertly constructed with strong bases, insulated floors and walls, double-glazed windows and strong, steel-reinforced structures, an HHI conservatory is secure, quiet and easy to keep wonderfully warm and comfortable all year round.